PARLIAMENT – The embattled Chairperson of the Committee of Commissions, Statutory Authorities and State Enterprises (COSASE) Abdu Katuntu has said he is too busy to fight for the leadership of the Committee and isn’t interested in debating the missing reports of state agencies. 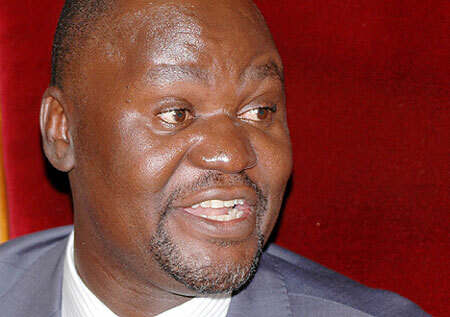 Katuntu made the remarks Tuesday, after meeting with officials from Bank of Uganda as he addressed journalists at Parliament saying that when the time of COSASE elapses, they will pack up their bags and leave for the new team to take charge. “When our time elapses, we shall go. We aren’t going to rush anything, if our term elapses, we shall go. This thing isn’t about me or us, that decision will be taken by the leaders of the opposition and Parliament and I just don’t want to get involved in it because I am a busy man,” Katuntu said. Katuntu’s remarks come at a time when Moses Kasibante, who is tipped to come back on the Committee as Vice Chairperson, when the tenure of the current team elapses on 13th January 2019, accused the current leadership of failing to live up to its mandate. In his interview with NTV last week, Kasibante alleged that COSASE has over eight reports it has discussed but the Committee members haven’t sat to make findings and recommendations. The Rubaga North MP also lashed out at critics opposed to his taking over as COSASE Vice Chairperson on grounds that he has no experience to grill Government officials, pointing out that Katuntu too was once in his position and earned experience on job. “I have served under Katuntu’s leadership, he is a man of great experience but we must understand how he got that experience, he was given a chance to begin with. There is when he was a junior, he served under so many experienced members. So you can’t say you are going to compare me to him who hasn’t even got a single hour to serve with somebody who has served for over ten years,” Kasibante said. When journalists asked Katuntu to respond to accusations of failing to produce reports before Parliament, Katuntu lashed out at journalists for failing to fact check information at their disposal and embarked on listing his achievements as COSASE Chairperson. “So what is this all about? But I don’t want to get involved in that sort of discussion, I don’t and please don’t ask any question like that again,” added. Although in a video recording from India, the incoming COSASE Chairperson, Mubaraka Munyagwa cried foul accusing those opposed to his new appointment of frustrating his efforts to serve his country and threatened to spill secrets behind the COSASE debacle. Indeed, FDC Spokesman, Ibrahim Ssemujju blamed Ugandans for failing to see beyond Munyagwa the activists and said he should be given time to disprove his haters.